What Do You Want To Know About The 2018 Nissan Leaf? At this very moment I’m a very well-pampered, mostly-willing hostage of Nissan at some Napa Valley resort that seems to be entirely populated with elderly folks on electric scooters. Nissan is showing their latest version of their very sleek and advanced electric scooter, the Leaf, to me and other journalists very soon. What do you want to know about it? We know what it looks like, we generally know the specs—147 horsepower, 150 miles of range, that one-pedal driving thing that’s like a bumper car, all that. I’ll be getting behind the wheel of this lightning-burner soon, so I’ll have driving impressions, and I’ll crawl all the hell over and inside the thing to let you know what it’s like. Hopefully, I’ll get to try Nissan’s semi-autonomous driving technology, Nissan ProPILOT Assist, which, if they’ll let me, I’ll compare to driving while on Ambien, which I’m assuming is a pretty similar experience. If not, I’ll just grill the techs for destails until they ask me to please let go of their arm, because that’s starting to hurt. My pre-experience prejudices? 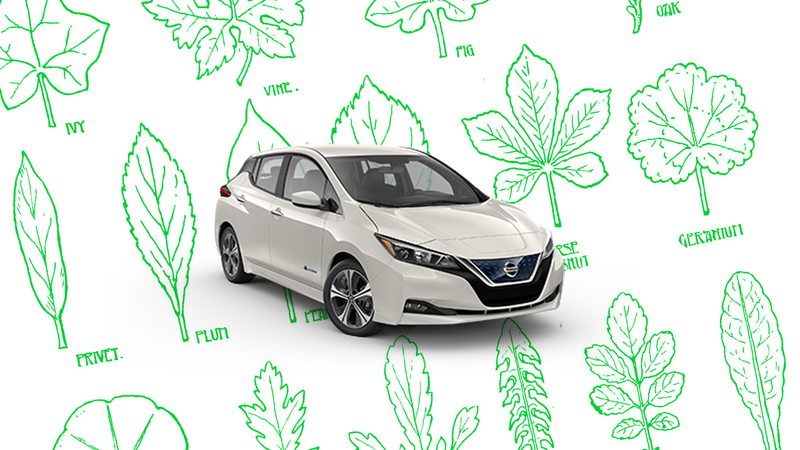 I’ve never been crazy about the Leaf. I think it does its basic job well enough, but it’s a pretty deeply bloodless car. Making an EV boring is sort of an achievement, though, and they’re the best-selling EV. I don’t really like the new styling any more than the old one, and I feel like in a world with the Chevy Bolt and the (coming someday, I think) Tesla Model 3, any electric car with less than 200 miles of range just doesn’t matter anymore. Nissan is supposedly planning a 200+ mile-range Leaf by 2019, though, so I’ll see what I can find out about that. I promise I’ll keep an open mind, though. So, if there’s anything specific you want checked, let me know!